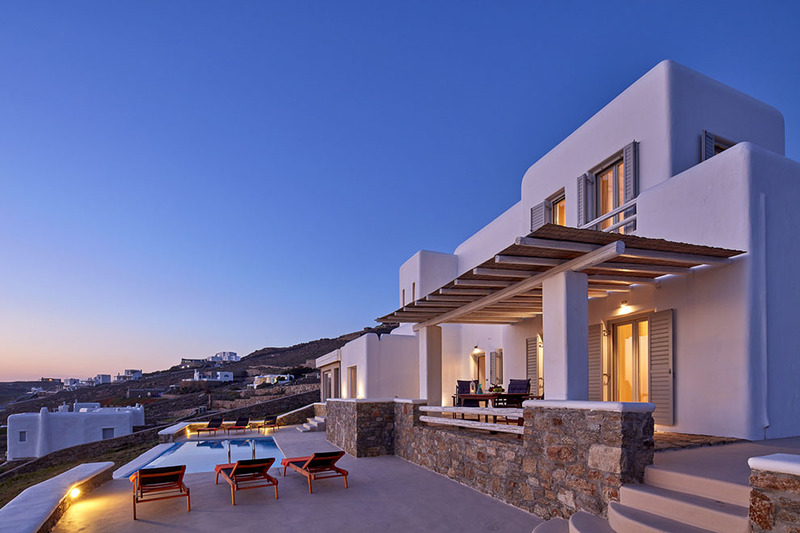 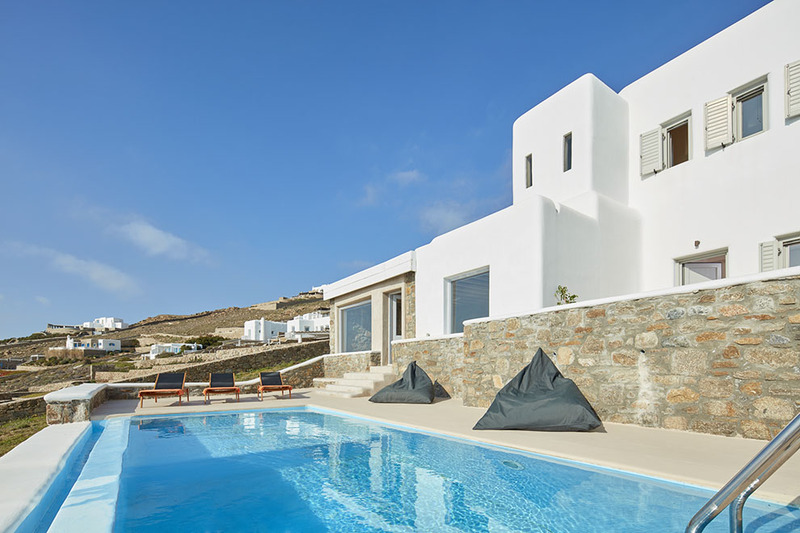 The luxurious “Delight Two Villa” is situated in the west side of Mykonos in the area of “Houlakia” and only 500m from the famous Houlakia Beach. 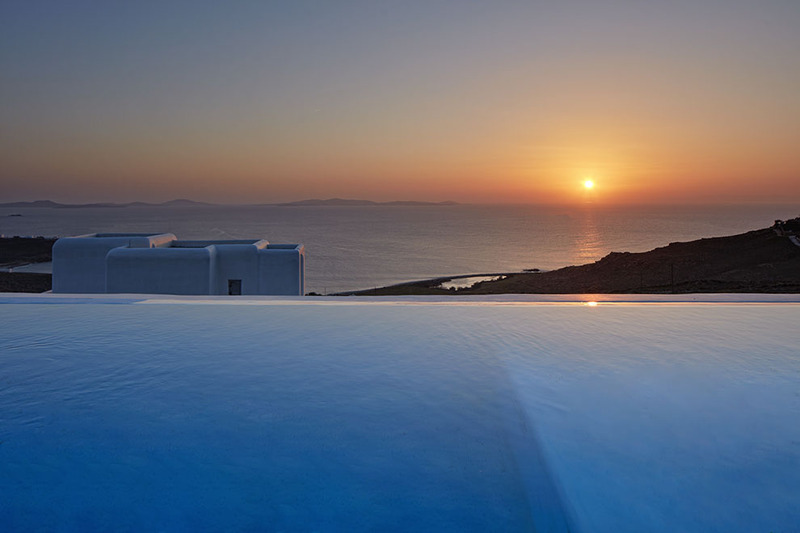 Allow the Aegean Sea take you to a journey to Delos Ancient Island and to the amazing sunsets that you will never forget. 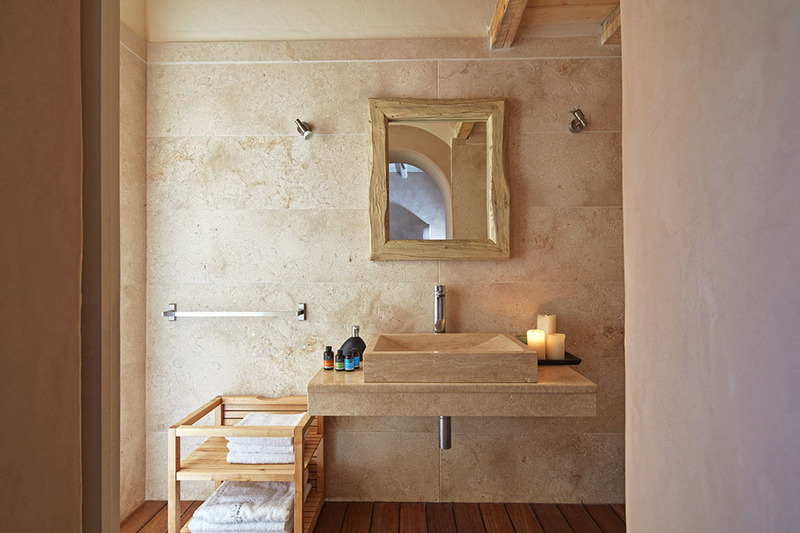 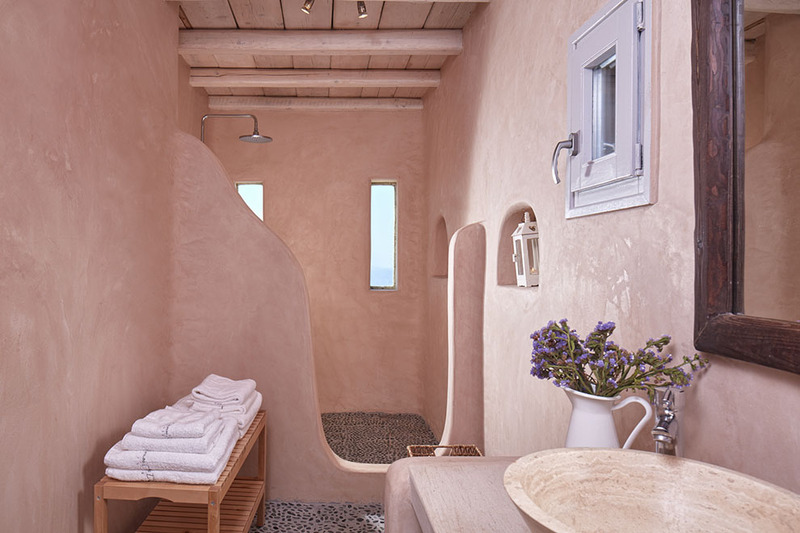 Ideal environment for privacy, comfort and relaxation for families and friends. 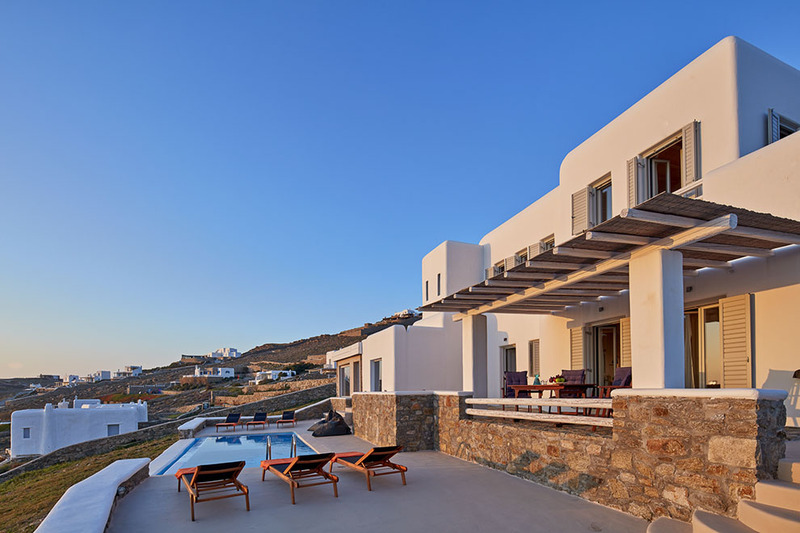 “Delight Two” Villa is residences with intensely Mykonos elements and many amenities, offering the perfect environment built according to the traditional Cycladic architecture, as is its furniture, creating along with the magnificent view a marvelously hospitable atmosphere.In the outdoors a beautiful pergola accommodates the barbecue and the dining room table has a view over the endless blue sea and the historical island of Delos. 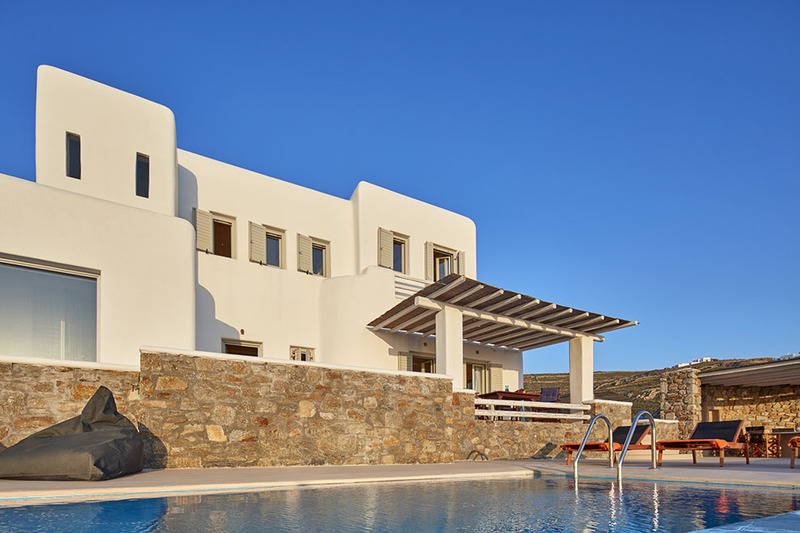 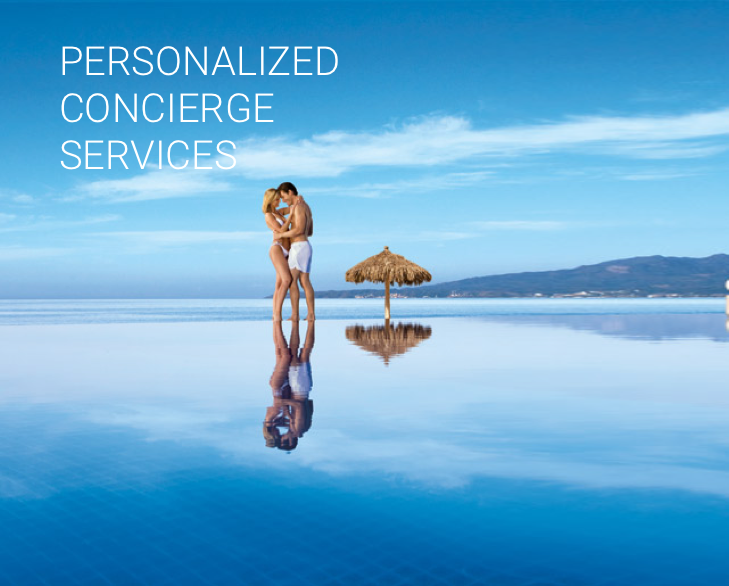 A sizeable overflowing system of a private swimming-pool surrounded by sun beds, ideal for sunbathing and unique moments of relaxation. 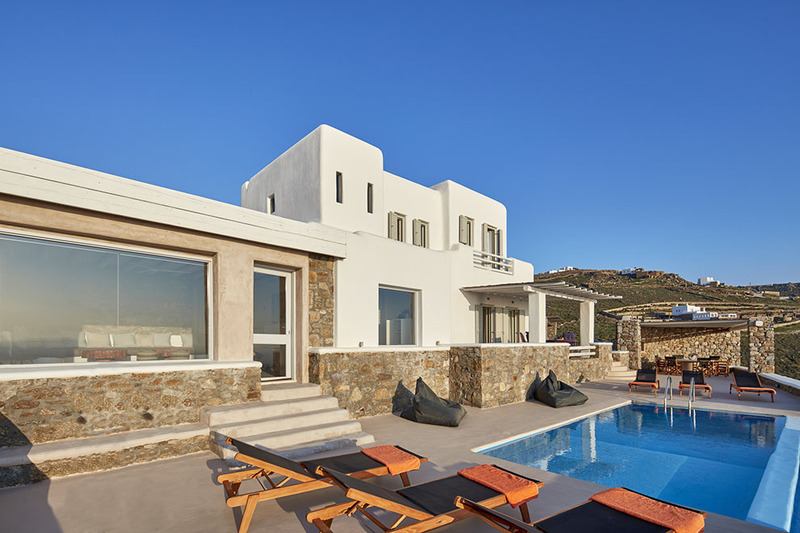 An amazing environment for formal or informal gatherings.“Delight Two” Villa possess three bedrooms with double beds, an amazing living room with built sofas which makes the interior space the best place to relax and enjoy the endless view from the large windows. 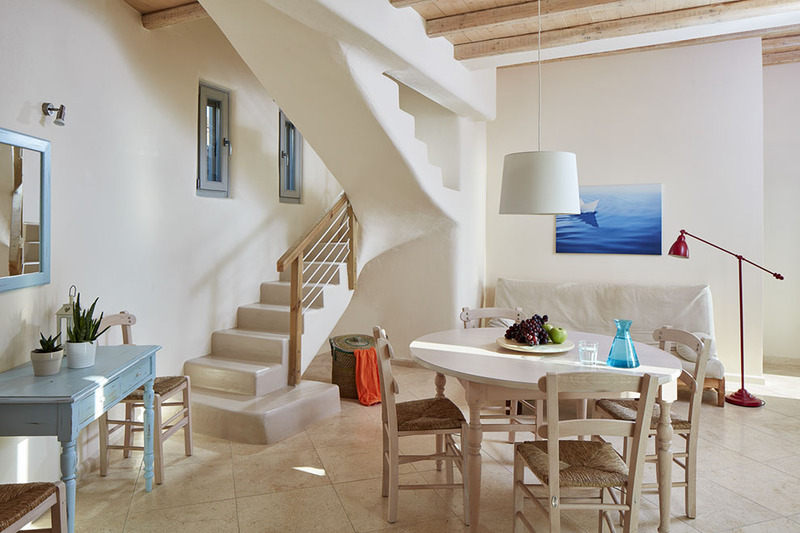 A fully equipped kitchen, internal dining room, sitting room with the traditionally constructed couches is the ultimate area for relaxing and positive energy. 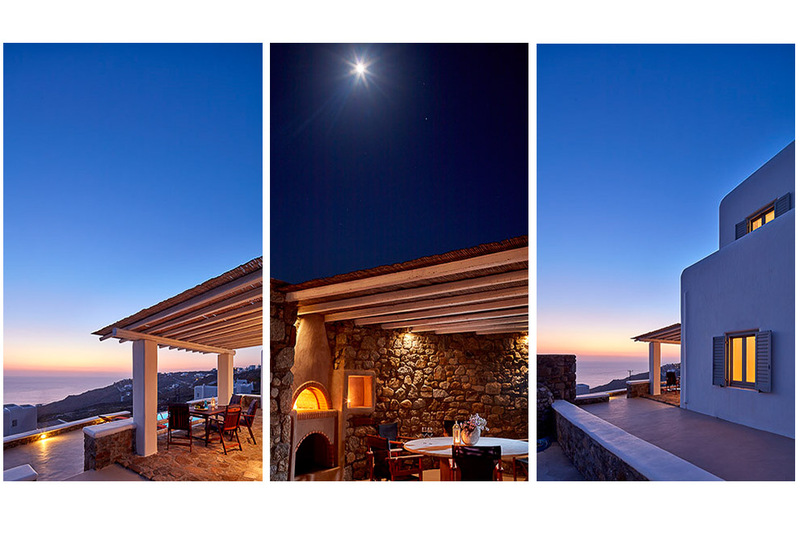 The evening hours are magical as the sun begins to set filling the sky with incredible colorations, while at night tiny lights sparkle in the distance and the moonlight adds its own beauty to the surroundings. 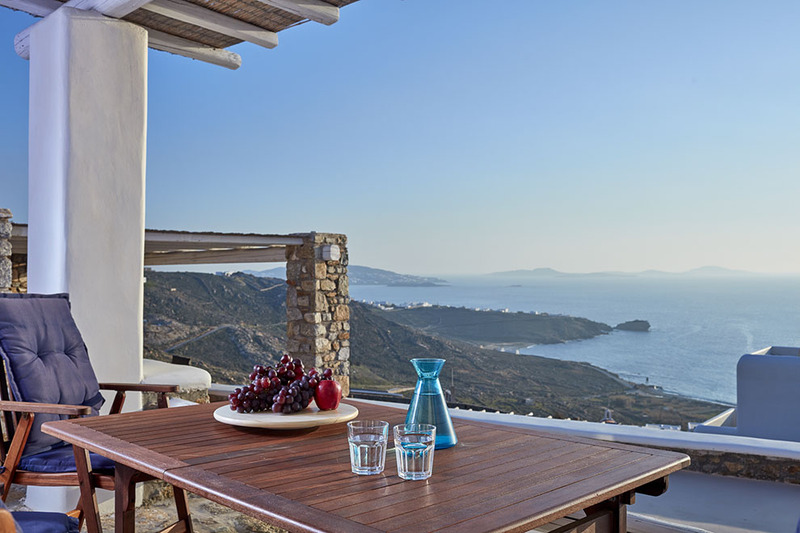 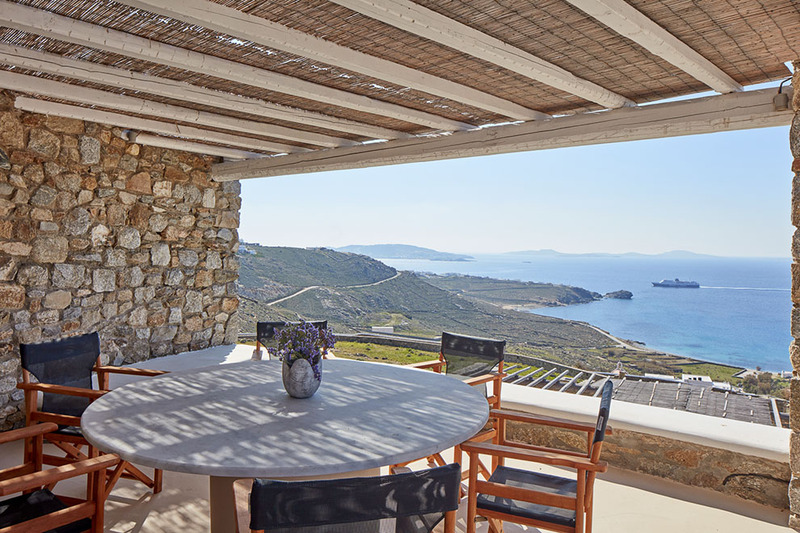 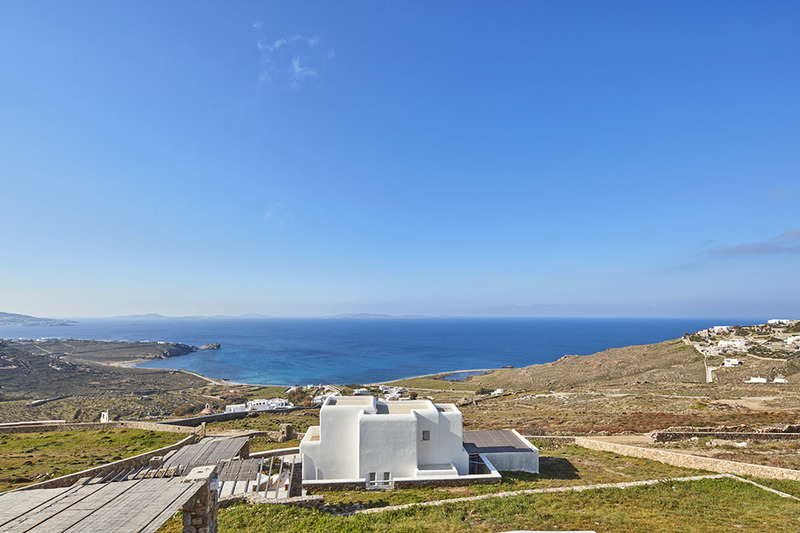 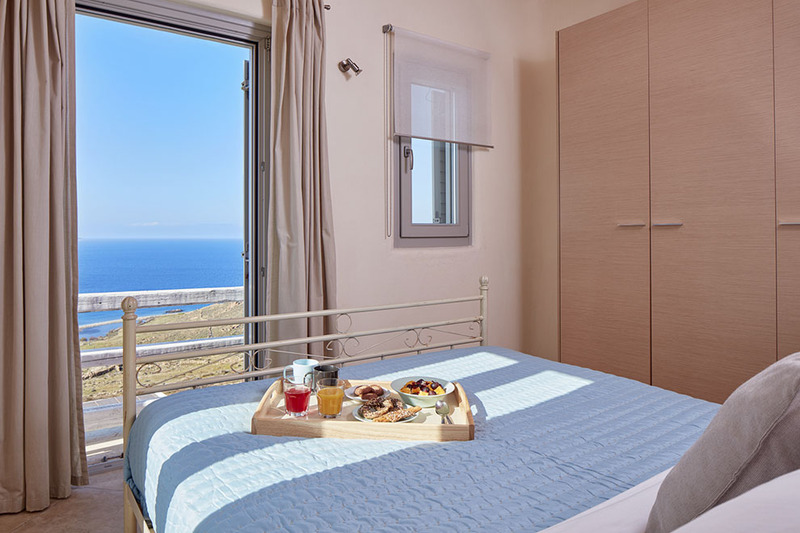 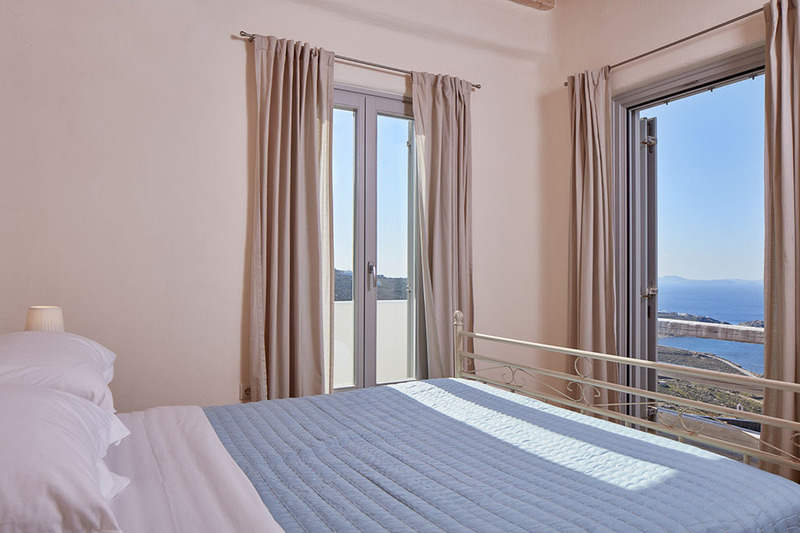 Spending a vacation at “Delight Two” Villa is similar like being sailing in a boat, due to its location, the brilliant exterior and warm interior areas, but above all due to its endless view across the Aegean. 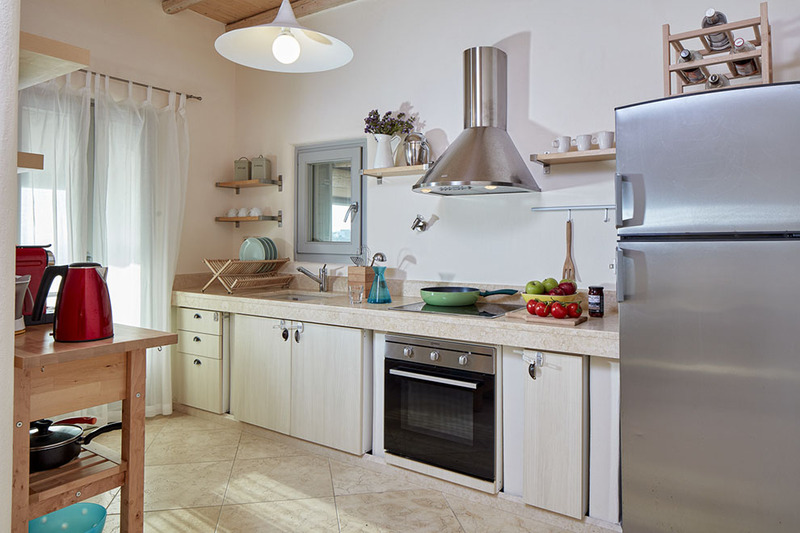 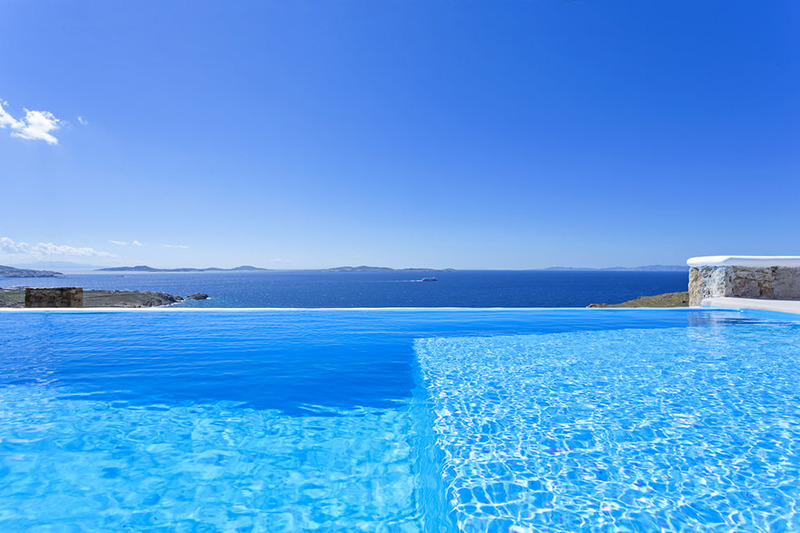 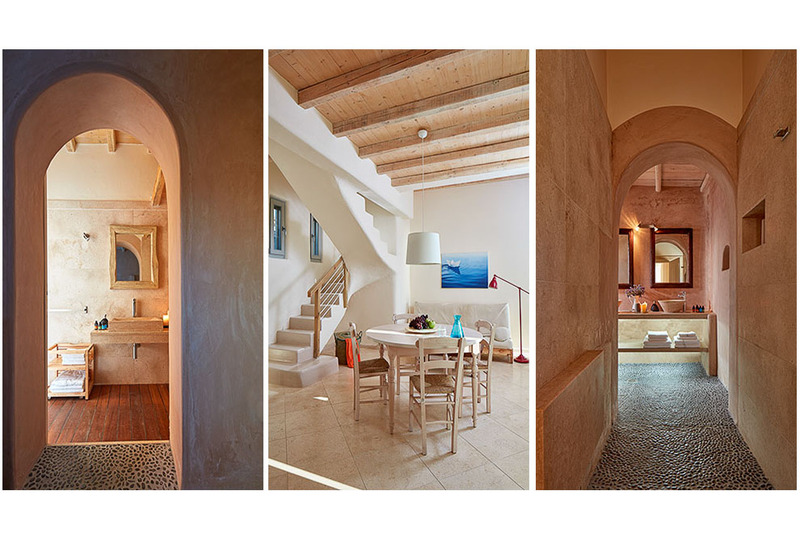 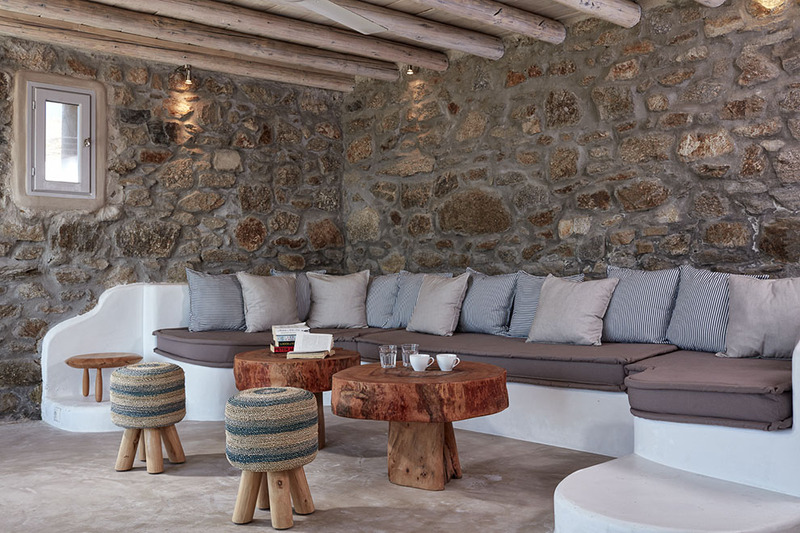 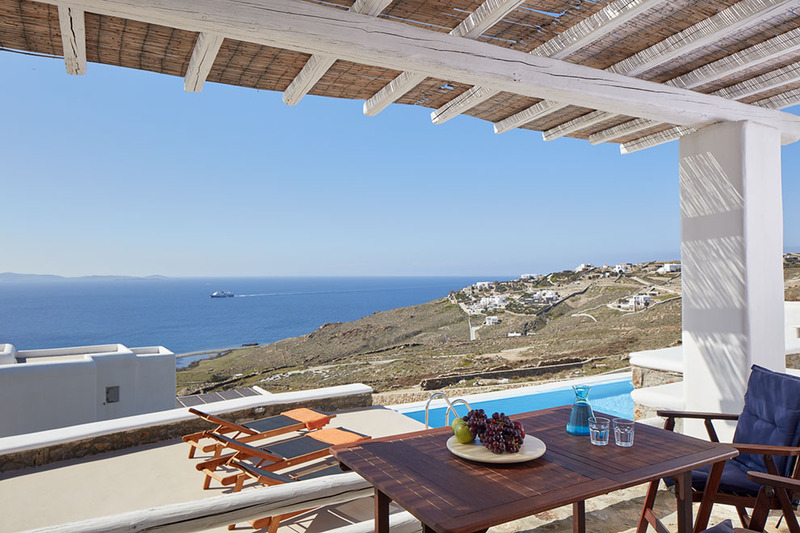 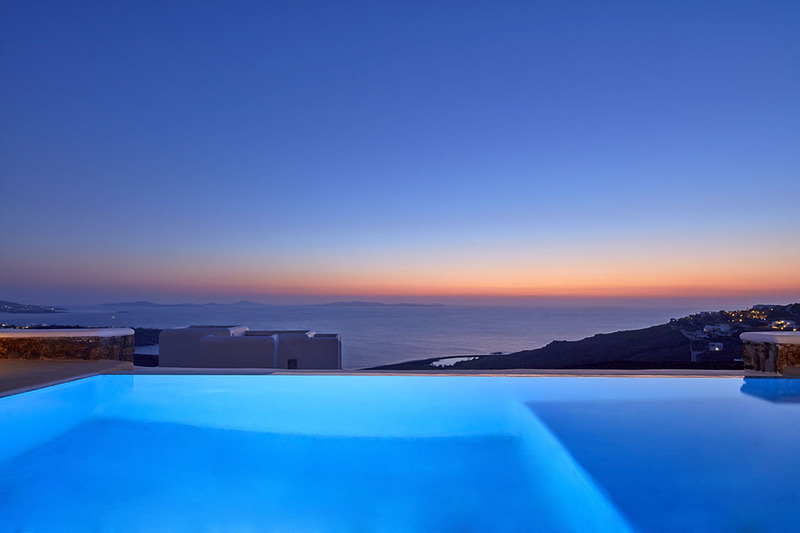 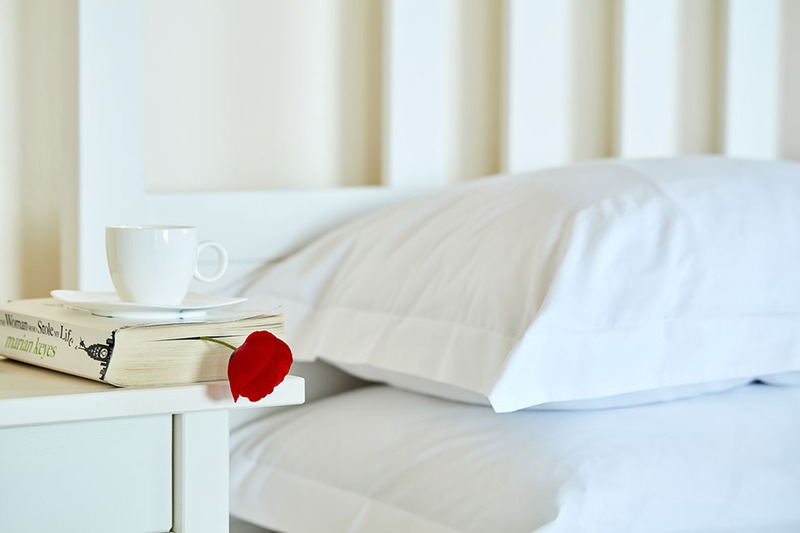 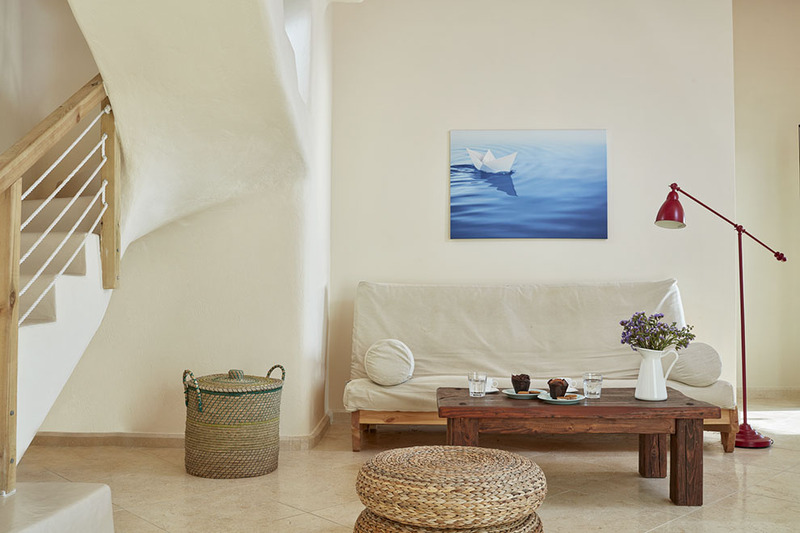 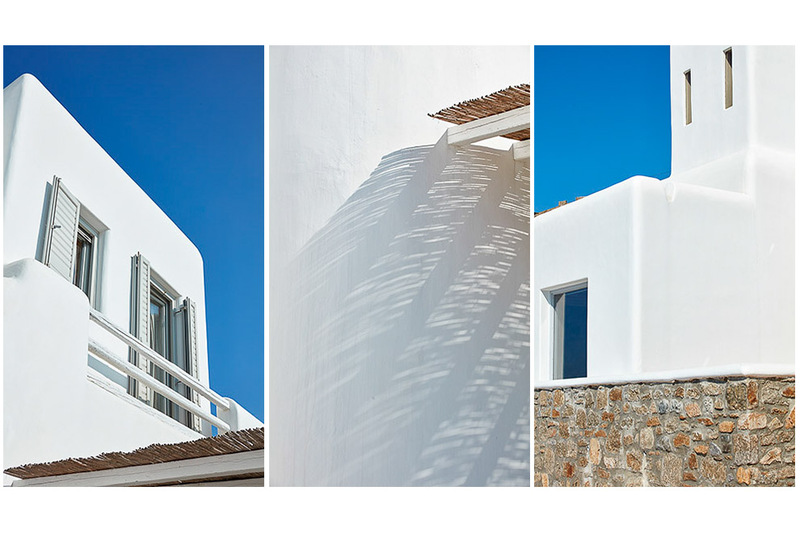 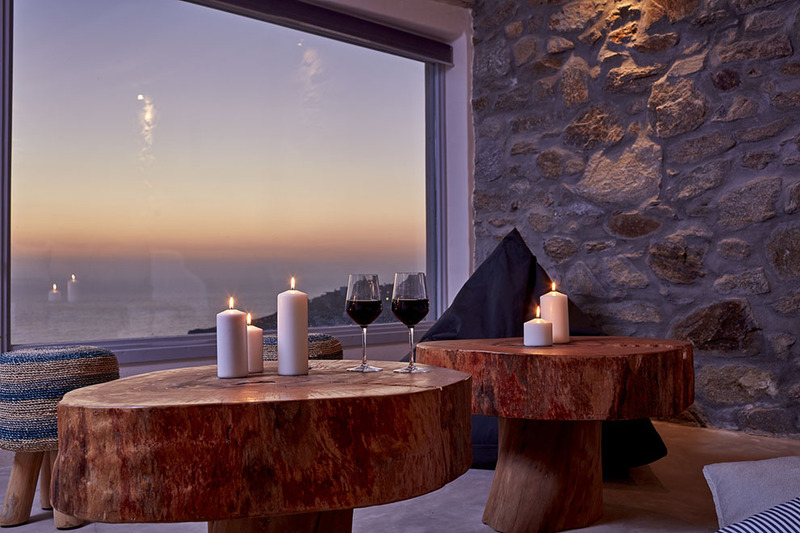 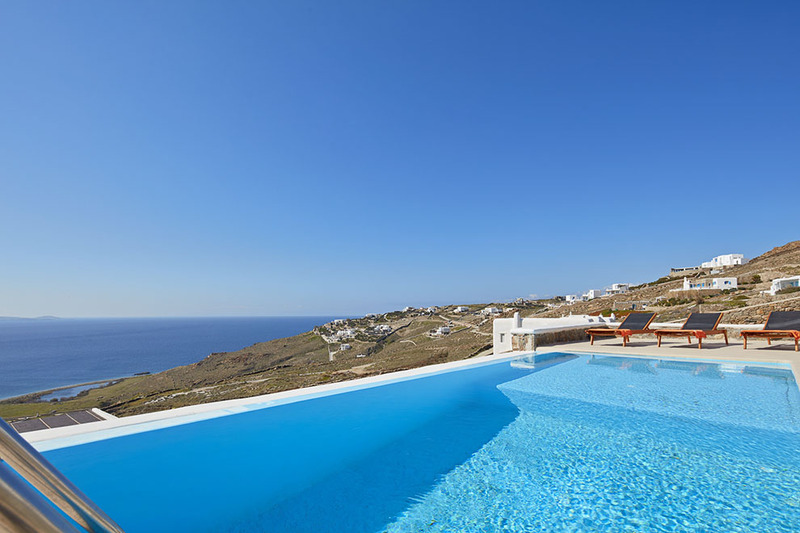 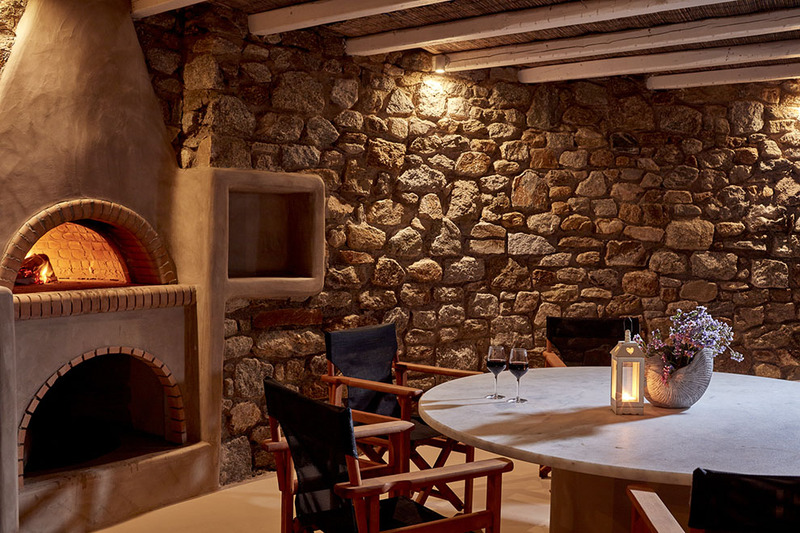 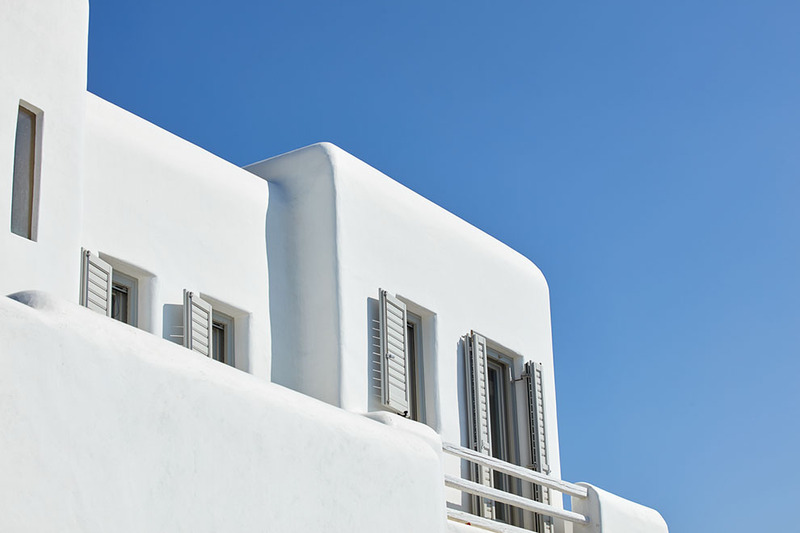 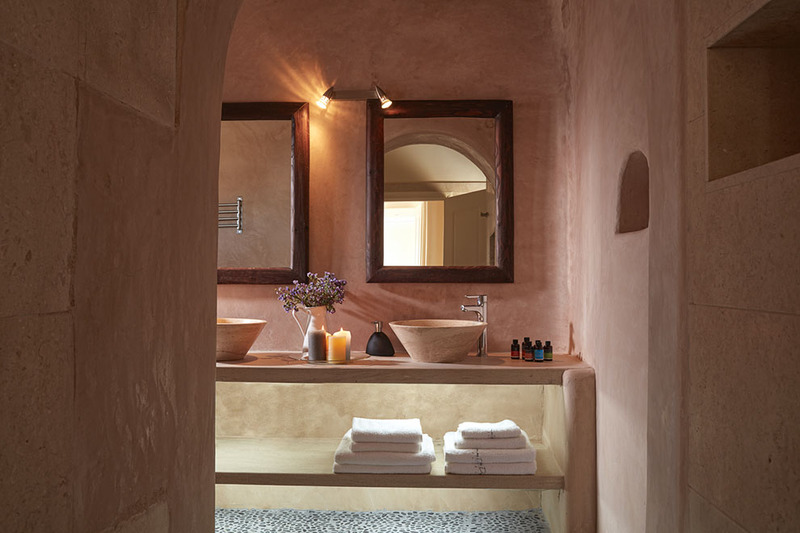 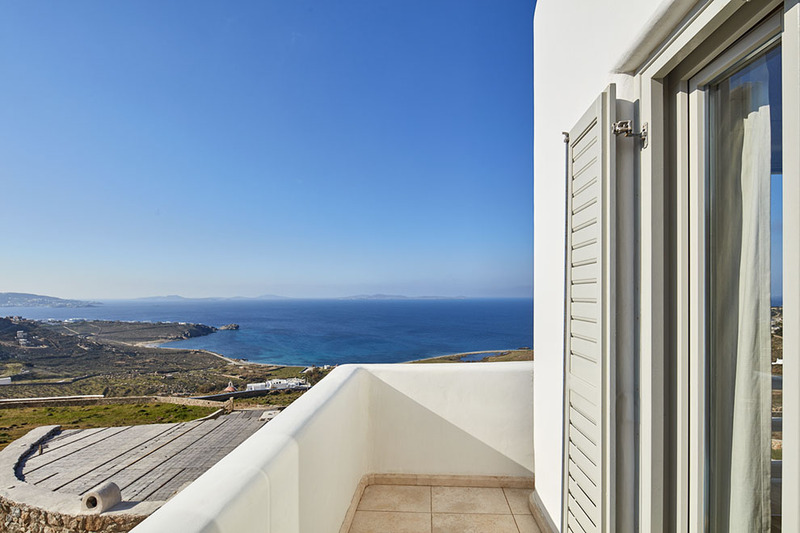 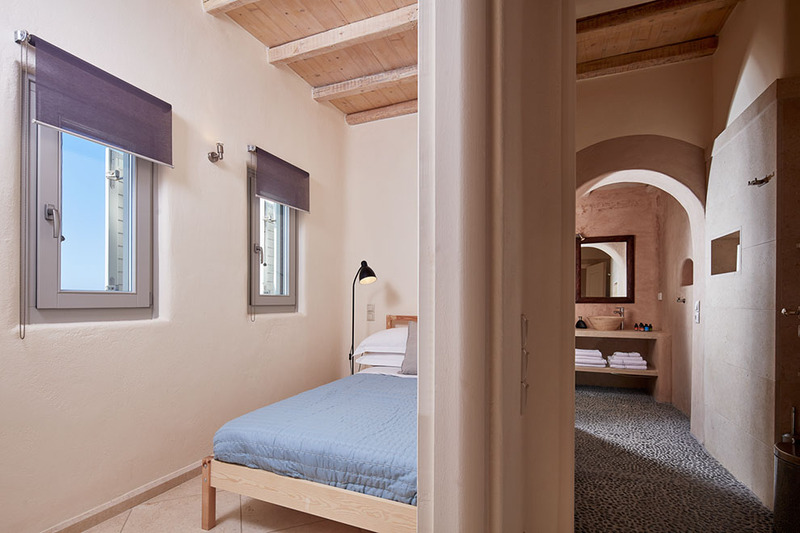 “Delight Two” Villa offers guests a relaxing unforgettable holiday in Mykonos.